This year “Vilnius-Lithuania iGEM” team focused on plasmids: round-shaped DNA structures, which can transfer genetic information and change cell’s function. Therefore plasmids are widely used in biotechnology. 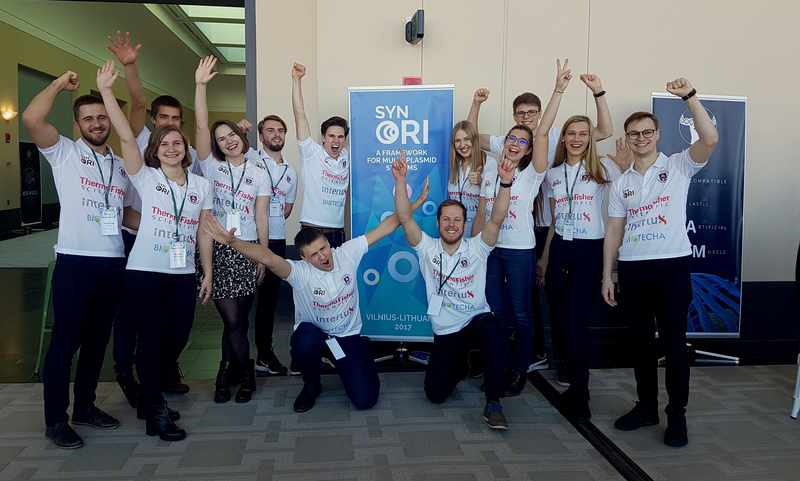 Vilnius University students created SynORI: a framework designed to make working with single and multi-plasmid systems precise, easy and more functional on top of that. This system created and developed by team members will help with everyday lab work and it can also be used for biological computing, assembly of large protein complexes or metabolic engineering.